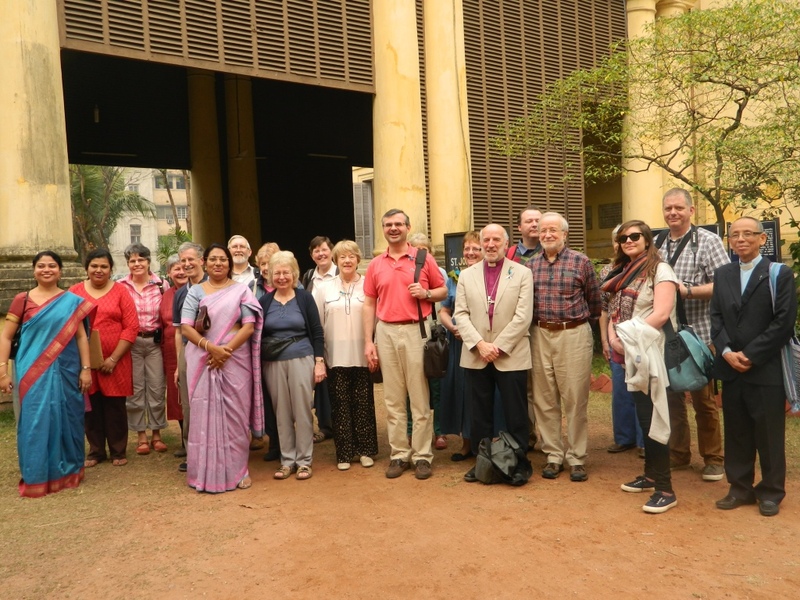 So here is the party with some of our,hosts – outside St John’s Church – and Bishop Ashoke Biswas with me at our flower-bedecked welcome. That’s the place where the memorial to those who died in the Black Hole of Calcutta is in the churchyard. We were also greeted by a blast of Auld Lang Syng from the organist with a follow up of ‘Be thou my vision’ just to preserve Celtic comprehensiveness. It’s a remarkable thing that we have come as a party of 17. It’s been going well and there is clearly an appetite for this relationship on both sides – of which more later on. Thanks to Canons Val Nellist and Dom Ind who have done the organising.